Justices Barbara Pariente, second from left, Peggy Quince, third for left, and Fred Lewis, second from right, have reached the mandatory retirement age and will be replaced. That means when Justice Peggy Quince's term ends on Jan. 8, it will mark the first time since January 1983, when the late Justice Leander Shaw joined the court, that the Supreme Court will not have a black member. The looming absence of a black justice on the highest court in the nation's third-largest state, which has more than 3.5 million African-American residents, drew sharp criticism from prominent black lawyers and a former African-American justice. "It's not a good day for the judiciary of the state of Florida when you're going to look up there [at the Supreme Court bench] and not see anybody who is black after 36 years," said former state Sen. Arthenia Joyner, a Tampa lawyer and longtime civil- rights leader. "What message are we sending to our kids? That it's a complete reversal of going back to the days of segregation?" Joyner, a Democrat, put the blame on Gov. Rick Scott, who has appointed all the members of the judicial nominating commissions that develop the appointment lists for state appellate and trial courts. 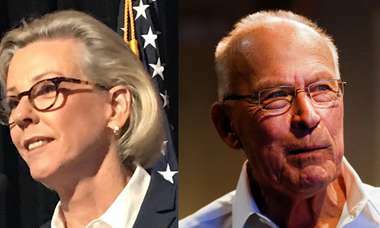 She said Scott has filled the nominating commissions with members who advance judges who are "clones" of the conservative Republican governor. "This does not bode well for Florida, especially with the divisiveness that exists in this country right now," Joyner said. "Our office does not control who applies to become a judge or what applicants are sent to the governor for consideration," Lewis said. The DeSantis transition team on Thursday referred to a statement released by the governor-elect on Tuesday when the nominations were announced. DeSantis called the nominees a group of "talented and highly qualified individuals." "Gov. Scott leaves behind an outstanding legacy of strong judicial appointments while in office," DeSantis said. He said he would seek Scott's counsel as he evaluates the nominees and will select three justices who "will respect our Constitution and the rule of law and serve our state with distinction." Joyner acknowledged the state Constitution will require DeSantis to make his selections from the 11 applicants advanced by the nominating commission. A 2009 decision by the Supreme Court said governors are "bound" by the nominating commissions' lists. "There is no exception to that mandate," the court said. Retired Supreme Court Justice James E.C. Perry, who was appointed by former Gov. Charlie Crist and served nearly eight years on the court, said a court without a black justice "is an indication of where we are" both as a state and as a country. The lack of an African-American nominee for the Supreme Court is reflective of Scott's judicial appointment legacy. 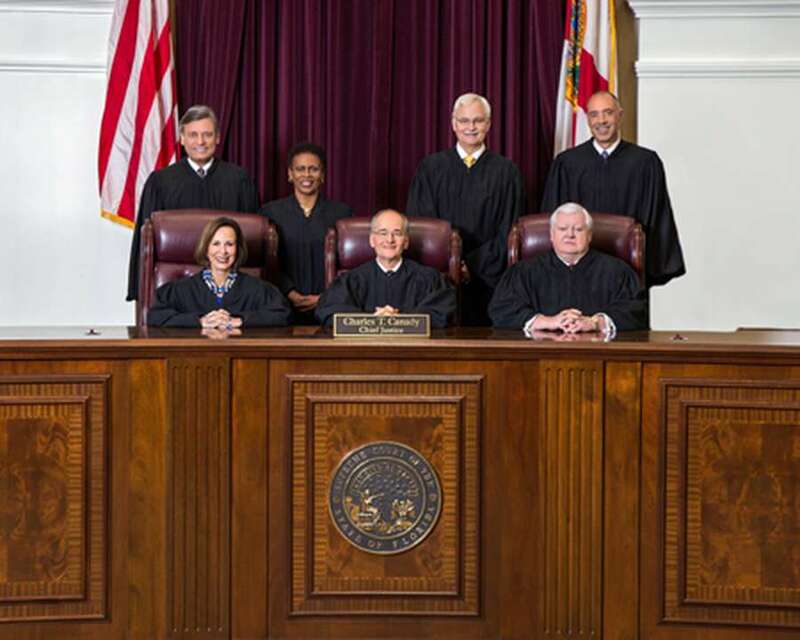 Statewide, 84 percent of Florida's judges are white, 9 percent are Hispanic, and 6.6 percent are black, the brief said. Lewis said more than 70 of Scott's judicial appointments have been African-American, Hispanic or Asian-American judges and that Scott has appointed more women to the judiciary than any prior governor. He said Scott has been focused on "selecting the most qualified people to become judges."